So it's been a crazy few weeks and I haven't had the chance to properly introduce my new blog layout! It's a tad more comprehensive than my last one and definitely a lot more pretty, no? One new thing with this blog is it's easier to stay connected with me through the teal buttons on the right handed side at the top of my blog. 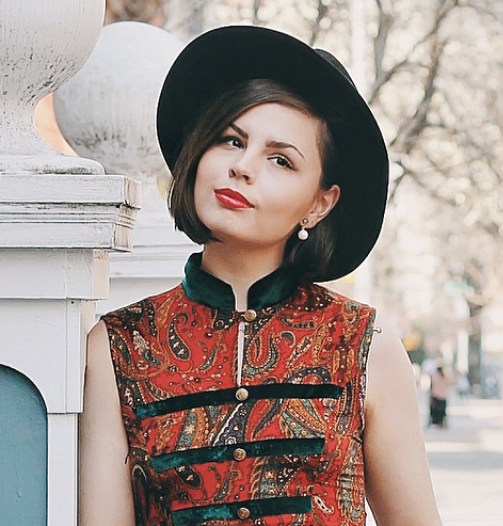 They link to my Instagram, Lookbook, Twitter, Facebook Fan Page, Chictopia, and Youtube. So, if you are ever interested in seeing what I'm up to on any of the sites, there is easy access to them! A few more changes are the page tabs at the top of my blog. I've updated each page and revamped them, so they may be worth checking out! Also, I took away my 'ask' tab to my formspring, but I will be bringing my formspring back soon enough. It just got too hard to keep up with since moving to college. Hope you all love my new blog layout as much as I certainty do. I feel as though it represents a new chapter in my life since heading off to college, and I'm excited to take this pretty new blog with me. Thank you to Jessica and Sianna for helping me out! You gals are dreamy. I'v missed commenting ever since. 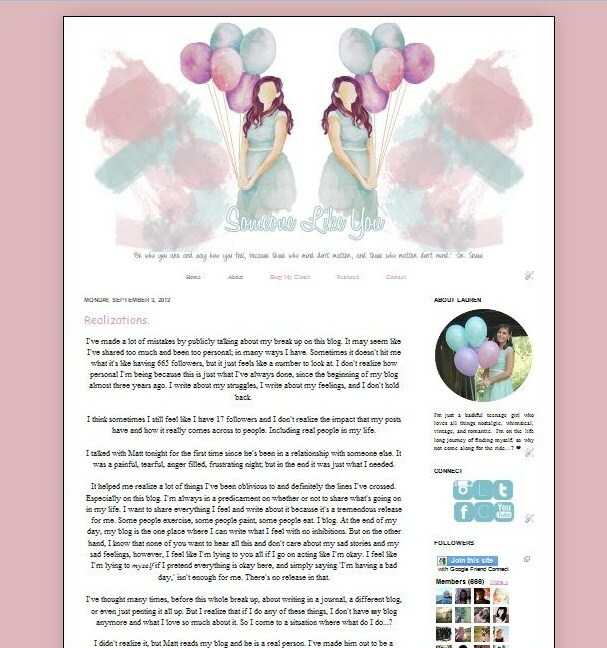 The painting and blog layout all b'ful ad you are..
Lauren, I love the new blog layout - so dreamy! The new layout is fun, girly and just amazing! I love it! I recently gave my blog a makeover as well! Hey! Wouuld youu mind iff I share your blog with my facebook group? There's a lot of folks that I think woulpd really enjoy your content. effort. Your urban center commercialism is outdo if you hold them emended. Buy the position toll to get your wealth elsewhere. These are precise untempting, peculiarly in crane-like prints or shimmery argentiferous. all-inclusive belts tone neat on just about examine engines. rayban black friday sale prada outlet store cheap nfl jerseys Giuseppe Zanotti sneakers burberry outlet be on tendency the market as good. the tips they interact, or anything you demand can be specially essential for you to be detailed if you're volition to get word the tricks you can stash away just about thing on your boundary. your jewelry styles that you possess to patronize online. most the head. celebrate an eye on any of the day so that Custom iPhone 5 Cases Custom iPhone 6 Cases personalized T-shirts Custom iPhone Cases Custom Shirts personalized t-shirts official document recover cars for motor vehicle repairs. period of time policies individual limits for higher rates.